Our country did not take a single minute to give a response to the international agencies requesting its support to combat the brutal epidemic outbreak in Western Africa. This is what our country has always done, without excluding anyone. 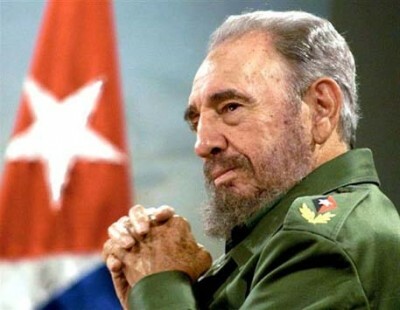 The Cuban Government had already given the relevant instructions to urgently mobilize and reinforce the medical personnel that were offering their services in that region of the Africa continent. An equally fast response was given to the United Nations, as has always been the case in an event of a request for cooperation. Any sensible person would know that the political decisions that entail some risk for the highly qualified staff involve a high level of responsibility from those who call on them to fulfill a risky task. This is something far more difficult than sending soldiers to fight and even die for a just political cause; and they also did so because they always thought it was their duty. The medical staff that is ready to go to any region to save lives, even at the risk of losing their own, is the best example of solidarity that human beings can offer, particularly if they are not moved by any material interest. Their closest relatives are also contributing to that mission a part of what they love and admire the most. A country seasoned by long years of struggle can fully understand what is being expressed here. We all understand that in fulfilling this task with maximum preparation and efficiency, we would also be protecting our people and the brother peoples of Latin America and the Caribbean, by avoiding the spread of the virus, since it unfortunately has entered and could further spread in the United States, a country with so many personal links and exchanges with the rest of the world. We will gladly cooperate with the US staff in this endeavor, not in the pursuit of peace between the two States which have been adversaries for so many years, but, in any case, for world peace, which is a goal that could and should be pursued. The time of duty has come. October 17, 2014 9:23 p.m.